Quilting for Baby can be so sweet. 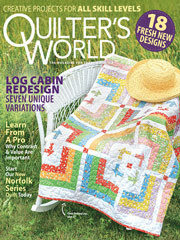 This free beginner quilting pattern is easily stitched. Save your used dryer sheets to use in this simple appliqued quilt. Perfect for a baby shower gift!